Standard colors have a matte finish. 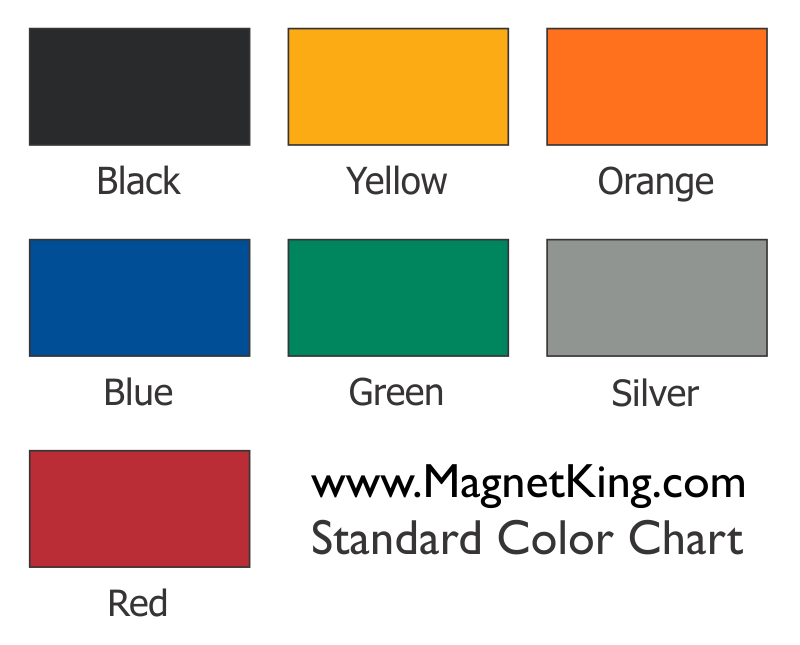 Standard magnet colors include Red, Blue, Green, Black, Silver, Orange, Yellow. Please Note: Colors may vary depending on monitor settings. 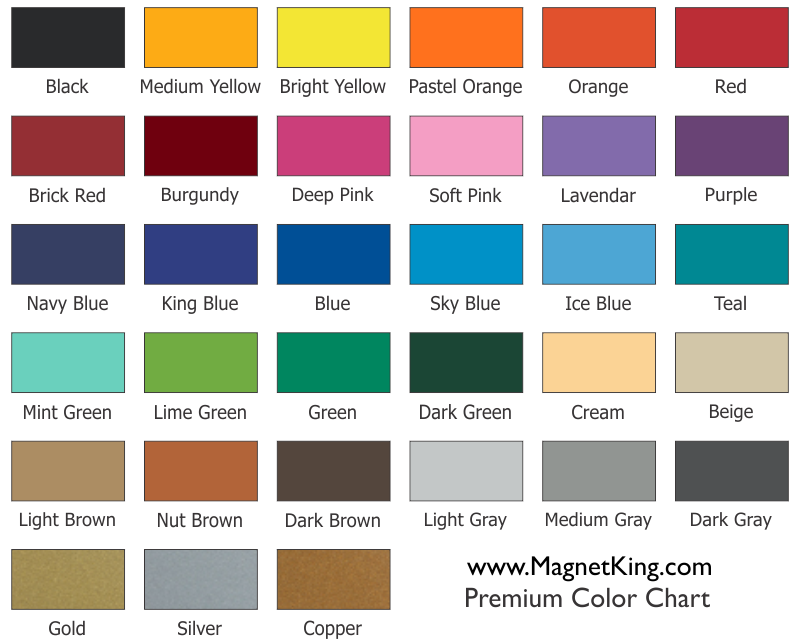 Please request a sample if color is critical.